Each year, BlogHer commits a substantial portion of its mission to celebrating female entrepreneurship. Through activations such as The Pitch and Passion to Profit, we have a strong legacy of elevating female business leaders on stage at BlogHer. This year, we are excited to introduce a new keynote, Co-Founders Club featuring Brooklyn Decker and Whitney Casey. They will be discussing their company, FINERY, and what it’s like as a two-woman team in the tech industry. We sat down with the two business mavens this week to learn more about their company, ahead of their keynote at #BlogHer Creators Summit this August! Tell us about your business, FINERY. BD + WC: Finery is the first digital wardrobe platform that organizes your wardrobe and uses predictive analytics to style you with the clothes you already own. Users link their email or individual store accounts from specific retailers, and purchases are automatically pulled through e-receipts. In-person purchases can be added easily via our Pinterest-like browser extension. Our technology will eventually help assist women in the full lifecycle of a clothing item - from the time a woman considers purchasing something, to when she buys it, styles it, wears it, and ultimately, resells it. What was your biggest challenge in starting FINERY? BD + WC: The most difficult part of starting a female-led tech company is finding women to be a part of our team. We searched for female developers and data scientists for months. When you want to develop a product that is as personal as a woman’s real closet, where she gets dressed everyday, you really want the people creating it to be women. What are the biggest perks about being a two-woman team versus starting a business solo? BD + WC: We have been friends for years and came up with the idea when we read that women spend two years of their lives deciding what to wear and eight years shopping! We have Spotify to manage our music, Tripit to manage our travel and Mint to manage our finances - why wasn't there an app to manage our wardrobes? We’re lucky to have each other because we have incredibly complementary skill sets. Extreme dedication, understanding, loyalty and passion will make it worthwhile to withstand all the highs and lows we have embarked (and will embark!) on together in our company. You both are very busy; how do you manage to find time for yourselves? BD + WC: It’s not always easy to prioritize - that’s why we view Finery as a productivity tool! With Finery, we can plan outfits at the doctor’s office, make virtual packing lists for next weekend's trip, save time getting dressed in the morning and more. We understand that it can be a challenge; running your own company makes you very focused and proactive - it’s all about organized execution at the end of the day! What advice would you offer to women looking to break into the tech industry? As FINERY is a fashion app, what are the three top trends do you guys are anticipating for this summer? Data data data- your data should be working for you. Making your life easier, if women typically spend 8 years of their lives shopping and 2 years deciding what to wear - your data should be used to help you streamline those processes, optimize the way you interact with your wardrobe, and free up some of that time so you can spend it as you please! 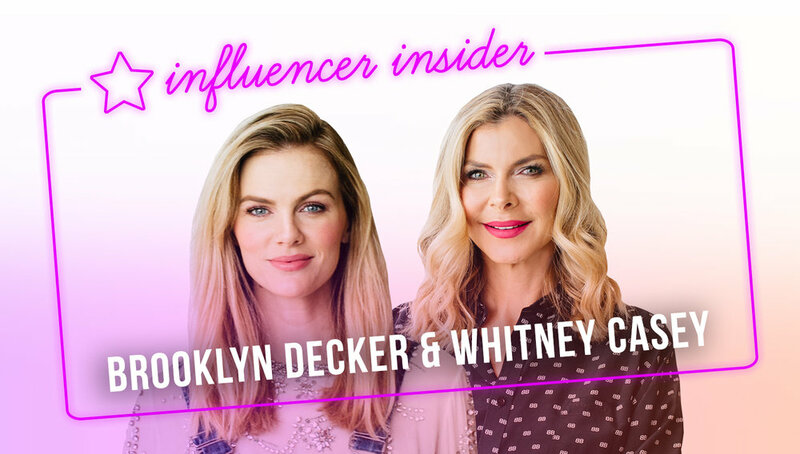 Brooklyn and Whitney will be kicking off #BlogHer18 Creators Summit on August 8th. Make sure to order your ticket today!